Does the summer sun make you want to laze around and not partake in intense activity? Do most swimming holes around Oregon leave you clamoring for space? If you found yourself nodding your head to the above questions then the Wilson River at Keenig Creek is the summer spot for you. The Keenig Creek at the Wilson River might just be the calmest most tranquil stretch of slow moving water in the entire Pacific Northwest. If your desire is to relieve stress or tension that your life might have brought along, then the stillness and serenity of the Keenig Creek are just what the doctor prescribed. 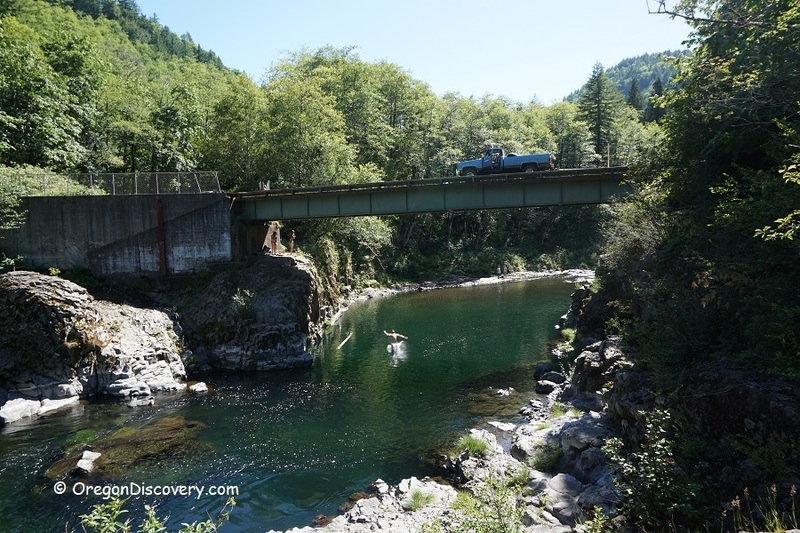 If at any point you desire some excitement then up-river, at the Footbridge Area, there are much deeper pools with 10 feet high cliffs that provide ample jumping opportunities. 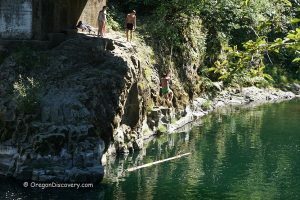 If there is one downside to this secluded marvel it is that the beach is composed of river rock and not warm sand; however, the large rocks which are meant for sprawling are comfortable enough for this to not be too big an issue. For Keenig Creek Campground drive 0.4 miles more.